Senators Have Led Fight to Improve LI Sound, Which is a Vital Part of Long Island and Connecticut’s Economy, Funding Will Go A Long Way To Ensure Sound Remains Vibrant. Washington, DC - January 14, 2014 - U.S. Senators Charles E. Schumer, Kirsten Gillibrand, Richard Blumenthal, and Chris Murphy today announced that the Omnibus Appropriations bill, which is set to pass Congress, includes $3.9 million in federal funding for the Long Island Sound program. The federal investment is $1 million more than the President’s Fiscal Year 2014 Budget Request of $2.9 million and approximately $200,000 more than last year’s funding levels. The Senators aggressively lobbied members of the Appropriations Committee to boost funding for the program in this year’s spending bill. Federal funding for restoration and stewardship programs to protect Long Island Sound expired at the end of 2011. In 2012, Senators Schumer, Gillibrand, Lieberman, and Blumenthal introduced legislation to support the restoration of Long Island Sound through 2016. The Sound borders New York and Connecticut, with 8 million people living on the coast and more than 23 million people living within 50 miles. The Long Island Sound Stewardship Act combines two separate authorizations through 2016 at $325 million over 5 years. This legislation includes new areas of concentration in the remediation efforts including climate change adaptation, sea level rise and resource management. Senators noted that investments made by the Environmental Protection Agency in Long Island Sound Study area has been effectively used to leverage additional resources from state, local and private partners. According to the Long Island Sound Study Office, since 2006, for every $1 in EPA funding, $70 was leveraged from other sources. 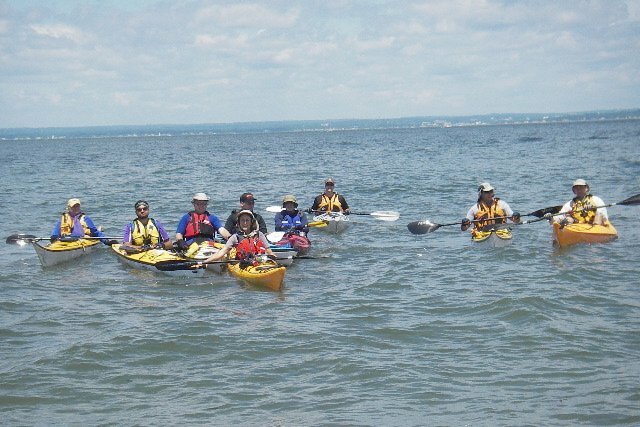 As a result, over $2.4 billion has been leveraged in direct environmental project support to carry out activities to restore and protect the Long Island Sound. In 1985, the EPA, in agreement with the States of New York and Connecticut, created the Long Island Sound Study (LISS), an office under the Environment Protection Agency (EPA) charged with advancing efforts to restore the sound and address low oxygen levels and nitrogen levels that have depleted fish and shellfish populations as well as hurt shoreline wetlands. In 1990, the Long Island Sound Improvement Act passed providing federal dollars to advance Sound cleanup projects, including wastewater treatment improvements. In 2006, identifying the need for increased stakeholder participation and the need to focus on coastal restoration and improved public access and education, Congress passed the Long Island Sound Stewardship Act which provided federal dollars for projects to restore the coastal habitat to help revitalize the wildlife population and coastal wetlands and plant life. Subject: LongIsland.com - Your Name sent you Article details of "Schumer, Gillibrand, Blumenthal, Murphy Announce $3.9 Million in Federal Funding to Protect Long Island Sound"